As we went back through the previous 10-plus years of books, journal writings, and reflected on things we had done or said, it became clear that our direction had already been set. To our surprise, we had already described our personal dissatisfaction in great detail. Everything existed in meticulous notes we had written either consciously or unknowingly over the years. In fact, the story was laid out quite explicitly. 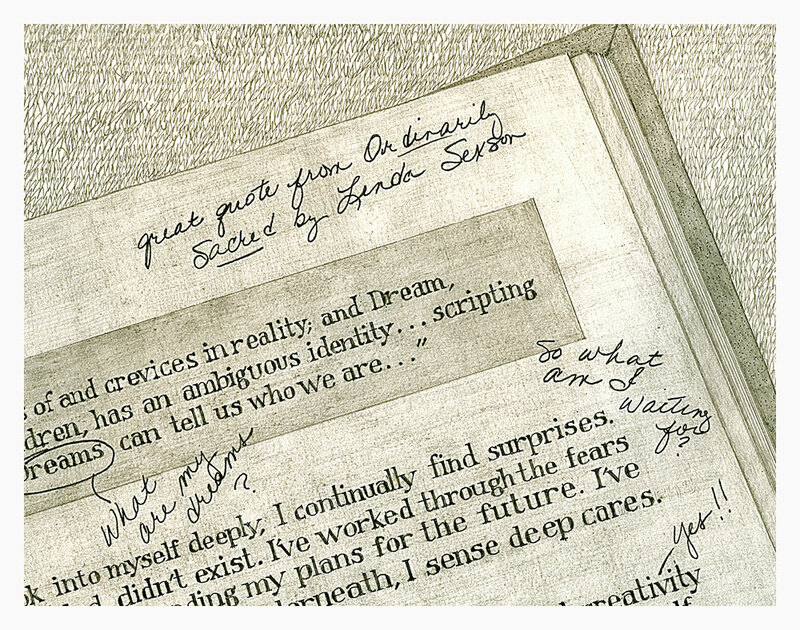 Our story was held within the “Notes in the Margins” of our lives. All we had to do was take the time to go back and re-read what we had already said. So, we did exactly that. Trusting that the story was all there, we started paying close attention to those “notes to self” that had accumulated over time—to uncover and rediscover what we already knew.